The “Live Action” activist wakes up thinking about how she is going to get that abortionist that day. She can hardly contain herself as she mulls over how she is going to give back to society by trapping an unsuspecting doctor into saying something that, with good editing, will indict him and that entire industry he works for. 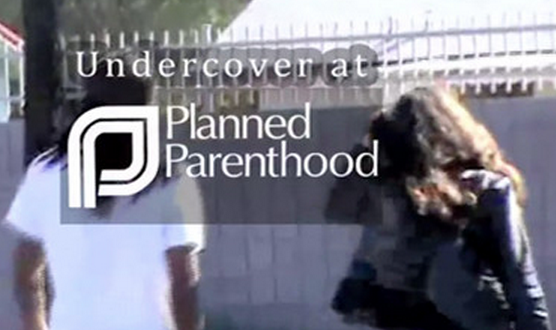 By now you no doubt have heard about these anti-abortion kids who are running around the country making phony appointments at abortion clinics and going in all wired up for sound and video. They are engaging in a sting operation and they are oh-so-proud of what they are doing. .
Then there is another brilliant piece of cinema of a conversation with Doctor Lee Carhart where he describes how the baby will die in the womb like “meat in a crock pot.” Ouch. These kids really are making their mark, aren’t they? I mean, why should they be wasting their time organizing the soup kitchen in the Bowery when they can actually meet the “abortionist,” trick him and then become famous on numerous anti-abortion blogs? Why should they volunteer to be a mentor for a child who is struggling in math when they can get their jollies sitting inside the abortion clinic waiting room? Wow, their parents must be so proud! 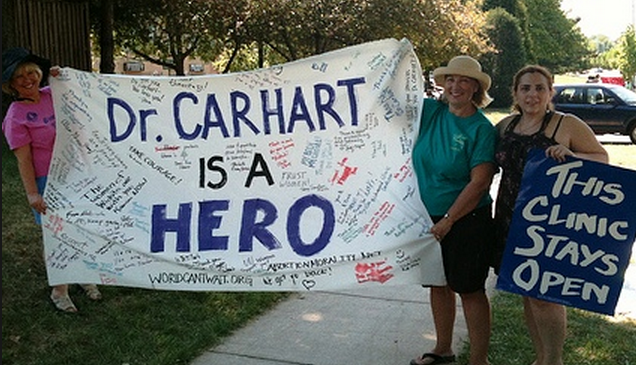 Now, I’ll admit that Doctor Carhart needs to figure out a better way of describing the abortion process and no one who works in a clinic should be ignoring sexual abuse. But I’ve seen some of the unedited videos of doctors and counselors and, of course, in that form they show the entire story. And what they show is that the doctors and staff are competently and compassionately performing their job and helping women in need. They are counseling them on all birth control measures and talking about the options – including adoption – that are available to the woman. But you know that stuff is going to wind up on the editing floor. I mean, after all, we would not want to show clinic staff in any kind of good light, would we? I know hundreds and hundreds of doctors and clinic staff. They love their job, they love to interact as much as possible with that woman who does not want to be there. The conversations can be fascinating and at times very reassuring to the woman. But in the future, every staff person is now going to assume that she is talking to a camera and so they will resort to being the ultimate bureaucrat, just telling the woman what she is required to know, not engaging in any conversation lest it be taken totally out of context. All because of a bunch of sick brainwashed kids. Well, for crumb’s sake, Carhart’s a GUY! He said what any real man type guy would say. the counter-tactic is to infiltrate and video the meetings of the so-called “pro-life” action groups and catch the spittle at the corners of Joe Seidler’s mouth and the I-am-not-a-crook shifty gaze of Flip Benham (is he still alive?). Timely and well written! Along the lines of spy work, don’t you know if one of “us” were to infiltrate a crisis pregnancy center, we’d be looking at a lawsuit if we exposed them for the lies and misinformation they share with the uninformed? Yeah but I would gladly do a little “spy” work if needed, I could be the mom but would need a daughter to pull off the infiltration. Then I would double dog dare them to sue “US”. once i was dropping off a truckload of diapers to a CPC and i needed to use the restroom. i went inside and announced to my friend who runs it that i was there for a free pregnancy test. i heard a peal of laughter that i recognized and turned around to see a friend of mine who is a choicer and had recently discovered that she was pregnant. i could tell by the look on her face that she wanted me to remain silent, which i did. later we met up and she explained that she and a mutual friend were going to cpc’s to see which were and were not on the up and up. she stated that this one passed the test and confirmed my belief that those who focus on actually doing something productive for women offer far more and better services than those that use lies and scare tactics to achieve their goals. i was also able to lead her to a couple that i knew for a fact used those tactics. but you are dead on about the lawsuit thing. People could make so many things to help others, but they decide not to. Sarah Rose points us to the idea that a documentary could be made showing how unsafe CPC medical advice and support often is. Anybody know any documentary makers? Holly Otterbeing at the CityPaper[dot]net tells a great story about Real Alternatives in PA and other states in a piece called Cash and Carry:Why are your tax dollars feeding the pro-life machine? To my mind, Real Alternatives is a state funded fleecing of taxpayers to the tune of millions for Catholic Charities…. Those misfit anti choicers should be sued for defamation. Sharing “Crossing the Line” documentary tonight featuring the fabulous Jen Boulanger, the exceptional volunteer escorts and the domestic terrorists known as anti abortion activists. I’m thrilled to share this long-time-coming project. Abortion is an unpleasant necessity and a woman’s right. Nothing to fret about.